Whether you are in need of commercial or residential construction services, don't risk your valuable time and cash. Get it done right the first time, call (561) 750-3211 or send us an email for more information. Decades of construction experience will be poured into your project. Learn more about the LMG Team. Copyright ©2011 LMGCustomHomes.com. All rights reserved. Legal & Privacy Disclaimer. 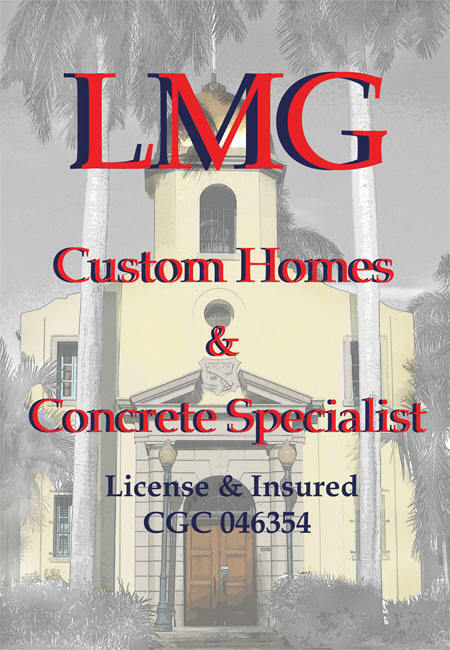 LMG offers commercial & residential construction and general contractor services to Florida.